Camden Main and Jamboree in Irvine, California offers a wide variety of studio, one and two bedroom apartments. These Irvine apartment homes even have some floor plans with a den, loft, or flex space for additional areas to work-from-home or entertain guests! Our unique apartment homes at Camden Main and Jamboree are filled with charm and character. Many feature custom kitchen cabinetry, gas stovetops, stainless steel appliances, and wood or concrete flooring. 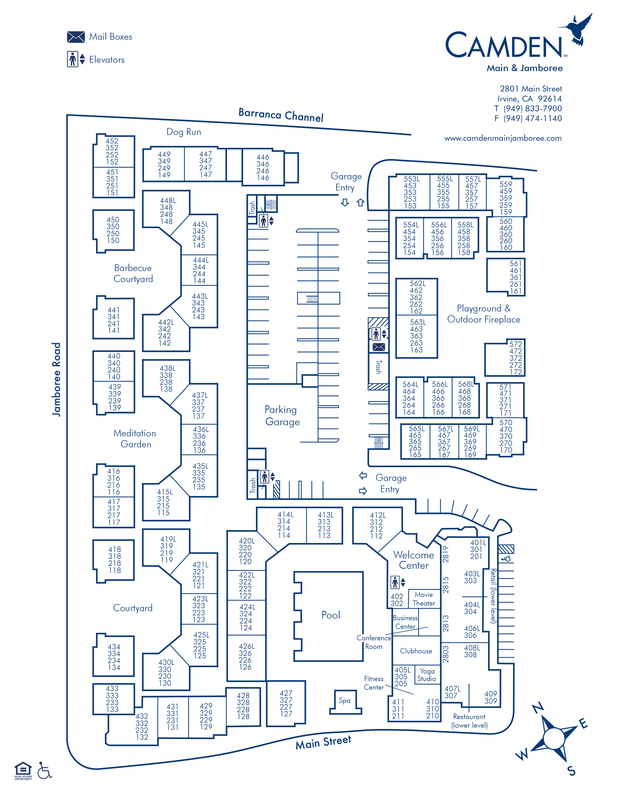 We boast some of the biggest square footage of Irvine apartments and our large walk-in closets show it! Located in South Orange County, Camden Main and Jamboree is central to it everything. With South Coast Plaza and Irvine Spectrum just minutes away, spend your weekend shopping and dining at over 50 restaurants and retail stores. Convenient access to the 405 Freeway, 73 Toll Road, and John Wayne Airport makes commuting a breeze and you are always close to where you need to go. Residents also receive a technology package included in the total monthly rent with a savings of up to 50% retail. This money-saving service includes high-speed internet and 280+ digital video channels plus HD programming with full multiplex of HBO through Cox Communications. Camden Main and Jamboree is filled with personality and we can’t wait to share it with you. Stop by for a visit and get a tour of our community today! The first parking permit is $10.00. Visitor parking is available on the first two floors of the parking garage. Additional parking permits are available upon request. Contact the office for more details!